Planet Awards just wrapped up in the capital city, Tórshavn. The awards conmemorate mostly musical acts, but a category like "Best YouTube video" was implemented this year. Recognition of the Year: The Rhythmical Choir in Hoydølum (a school which is the eqivalent of high school. They have staged several musicals, and it is for that, they get the recognition). That's it for this years Planet Awards. See you next year! 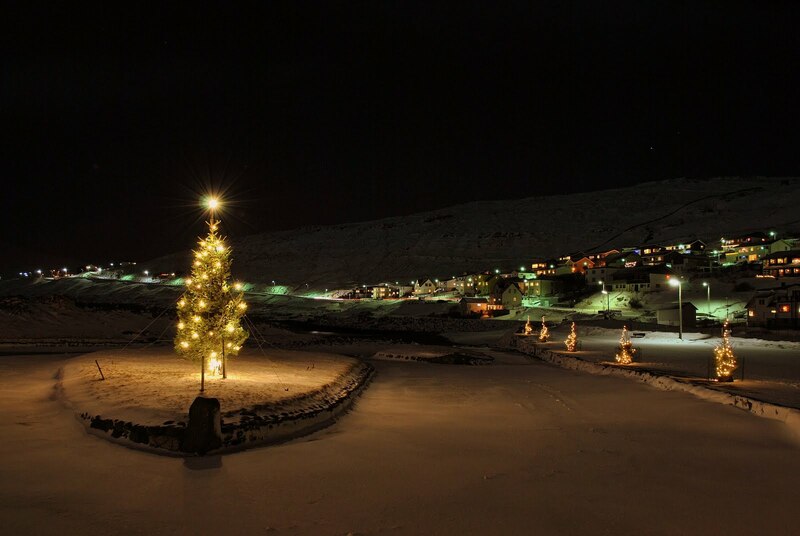 This week, we talk to our producer, Tollak Hansen about Christmas in his village (pictured above). And we answer the age old question, "should I be afraid of that meat?" And from all of us here at the Faroe Islands Podcast, Merry Christmas and Happy New Year. Just a short note to say that we did not prevail in the "Travel" category in tonight's podcast awards. We were up against a Disney-themed podcast, and it's not easy to go up against the mouse. But we understand that we performed respectably, so we can all hold our heads high. And in the process of competing for this award, we picked up a bunch of new listeners. So to the new members of our little family, we say "welcome." New Christmas podcast is on its way next week. This video of a man in a lion suit pretending to steal a car is considered funny by some, while others have condemned it as irresponsible. This week, we talk to the man in the suit and ask him what this was all about. And we'll continue our conversation with Birgir Kruse, one of the most interesting people in the Faroe Islands. Then we'll wrap things up by hanging out at the harbor... but not in a creepy way. This week, we talk to the head of Visit Faroe Islands about the state of tourism in the Faroe Islands today. Then we head off to Skaelingur (pictured above), a place where almost no tourists go. Also, we still need your votes for the Podcast Awards. We're in the running in the "Travel" category. Listeners can vote once each day by going to http://www.podcastawards.com . Voting closes on December 15th, so you've still got time to make a difference and spread the word about the Faroe Islands. On this week's show, it's the first edition of our new feature: Matt and Birgir Talk About Everything. Birgir Kruse and I start talking about the popularity of country music, and it just kind of takes off from there. Then, it's off to the stunningly beautiful village of Kunoy (pictured above).